No trip to Cornwall is complete without indulging in a Cornish Cream Tea, whether you enjoy it on the coast, on the moors, in the valleys or in the comfort of your own home. 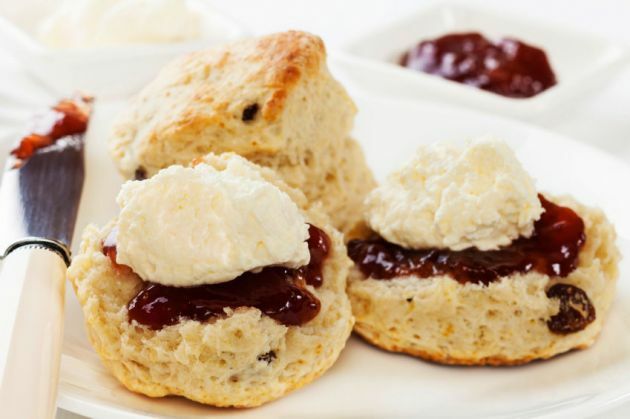 A couple of oven-fresh scones sliced in two, topped with generous dollops of jam and clotted cream and washed down with a couple of cups of Britain’s amber nectar provide the perfect treat for any occasion. 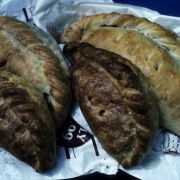 However, beneath the creamy, calorific exterior lies a sticky debate over its origins and indeed its confection. Even the pronunciation of ‘scone’ is often fuel for discussion. Over the Tamar, in England, Devon similarly lays claim to the cream tea, some historians suggesting that it made its lip-licking debut in Tavistock in the 900s. The Cornish remain adamant though, and even more so when it comes to the highly contentious question of ‘jam first or cream first?’ Traditionally, in the Duchy of Cornwall, to spread the cream first is nigh on sacrilege (though pariah status is now only reserved for repeat offenders.) and the jams is sandwiched firmly in the middle. Over the border, the jam sits on top but the rest is very much the same. Cornish purists might also remind us that the combination of jam and cream is traditionally enjoyed not on scones but on sweetened white finger rolls known as splits. Splits are also the base of another Cornish treat for the sweet-toothed; Thunder and Lightning, where jam is replaced with glistening golden syrup for a serious sugar hit. The star ingredient bar none, regardless of regional squabbles and bread type, is of course the clotted cream. Native to the Westcountry, this sturdy, pale yellow cream is made by heating unpasteurized milk in shallow pans floated on boiling water so that it ‘scalds’, whereupon it thickens and the cream rises to the top forming the ‘clots’. Pedants will insist that the milk come from Westcountry herds in order to produce the genuine article, and a number of companies specialise in just that. However, clotted cream’s international popularity and availability prevent such puritan rules and it is enjoyed the world over sometimes making a tasty substitute to butter in baking.